The verdict is in: you hate the pajama trend judging by your reaction to Rihanna’s Emilio Pucci look on the red carpet at the ‘Battleship’ Japan premiere yesterday. 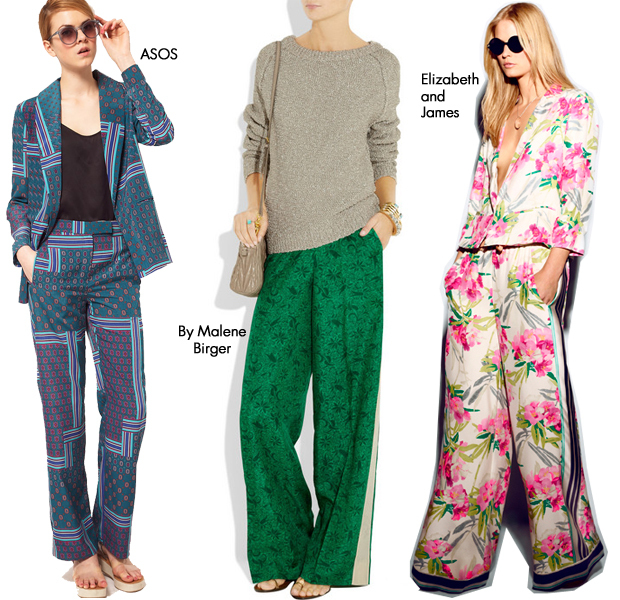 Well I’m sorry to disappoint, but the trend, which has replaced the traditional suit, appears to be hot up, because celebs and fashionistas alike love the easy just-got-out-of-bed look which pays homage to Hugh Hefner’s favorite attire. Rihanna follows a long line of PJ-loving ladies including Elisa Sednaoui, Salma Hayek, Ulyana Sergeenko, Sofia Coppola, Viviana Volpicella, Marina Larroudé and Caroline Sieber who have all been working traditional sleepwear into luxurious daytime attire. The look is so hot Sofia and Caroline has worn the same Louis Vuitton Resort 2012 set. Of this crew of lovelies I think Elisa worked her look best. The sequined blazer and the tighter fit make the look less obvious, but I have to say I love them all. 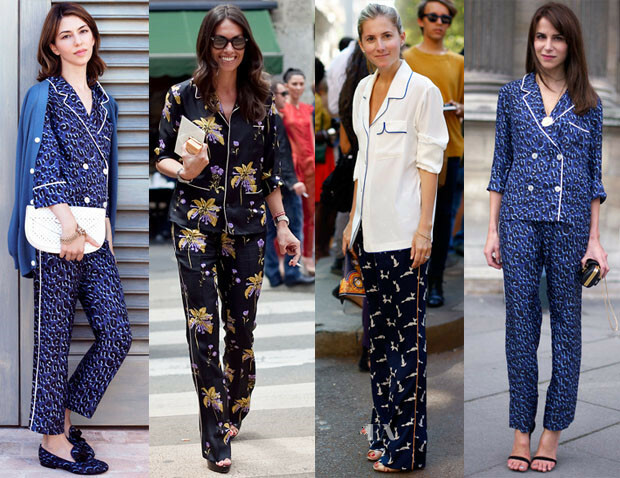 I think the key to pulling off this trend and not appearing like you’re out sleepwalking whilst at a dinner, a red-carpet event or the streets of New York or London, is to wear the PJs with heels. As chic as Sofia looks, I think the slippers are a step too far for you non-believers.